Real estate lock boxes safely and securely hold keys so they can be retrieved by a realtor to show a home when the homeowner isn’t present. The best lock boxes are strong, durable, and resistant to weather and tampering. 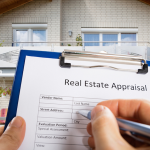 This article reviews the top six real estate lock boxes of varying styles and price points. KeyGuard SL-500 for $23 (Best Overall) for its ease of use, as well as protecting the property against scratches and scuffs. WordLock KS052BK for $39.71 Storage capacity for agents who want to add garage door openers or other items. 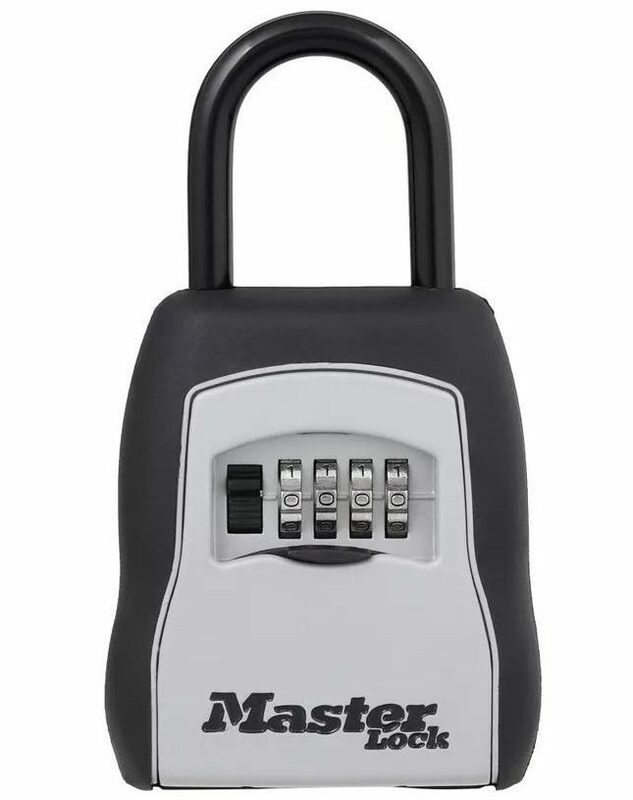 Master Lock 5400D for $22.16 Everyday use—a solid, no-nonsense lock box that has stood the test of time. Lion Lock 1500 for $27.99 (two) A cost-effective lock box with solid construction that's affordable to purchase in bulk. Master Lock Bluetooth Portable 5440D for $97.95 Tech-savvy realtors and those operating in extreme cold temperatures who want reliable functioning. Kingsley Guard-a-Key for $14.95 Agents wanting an easy and inexpensive lock box to hold multiple keys. We evaluated real estate lock boxes by comparing their prices along with their functionality, durability, ease of use, and any additional features that they offered. Lock boxes should ensure that sellers feel that their property is secure while buyers and their agents are able to access these properties easily for showings. These are the specific criteria we used to review each product. We recommend KeyGuard SL-500 as the best overall realtor lock box because of its ease of use, durability, and the hardened plastic body that protects properties against scratches and scuffs. The construction, materials, and features of this lock box will make it the best choice for most realtors. It holds four to five keys, is resilient, and requires only a four-digit code to unlock. The punch button format and shackle style is familiar and easy to operate. The KeyGuard lock box shackle can be found on Amazon for $23 with a one-year warranty included in the price. Amazon also offers used versions starting at $19.55. Please note that taxes or shipping (if you do not have Amazon Prime) have not been included in this pricing. The KeyGuard SL-500 is a shackle-style, punch button lock box that is able to store multiple keys. With the proper four-digit code entered, this lock box gives realtors easy access while protecting properties for sale. The outside of the lock box is an ABS plastic material with an internal metal frame. This exterior plastic might shield home exteriors from scratching that some metal products might cause, and still remains fairly durable overall. However, it is important to note that with extensive use in harsh conditions, the plastic may lead to earlier deterioration than exterior metal found on products like the Master Lock Bluetooth Portable 5440D with zinc construction. The product is easy to use. All it takes to open the lock is the memory of your four-digit password and the ability to punch those numbers in the correct sequence. While a complaint discussed below is the limited combination ability, it is assumed that most individuals looking to take advantage of lock boxes would not know of the limited combination ability. The storage capacity of the KeyGuard SL-500 was generous and allows for four to five standard keys to fit comfortably. Although not containing the storage capacity of the WordLock KS052BK, that had the ability to hold garage door openers and other elements of size, the KeyGuard provided what most agents need with garage openers so often left inside the property. Overall, Amazon has this product rated at a 3.7 out of 5 stars, with 710 reviews. The KeyGuard SL-500 offers accessibility and solid storage, although with a quirky element around code creation. The lock box does not have the ability to repeat numbers. For example, 2010 will not work, but 2015 will. The inability to repeat a number makes the product easier to break into because of the lack of combinations that can occur without the use of a repeated integer. We assume that a possible intruder would be unaware of this lock limitation, and it would likely not cause a security concern. 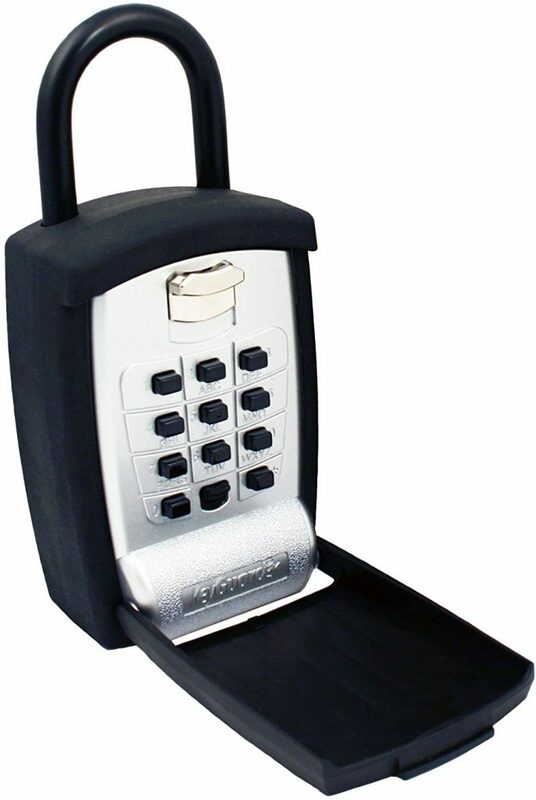 We recommend WordLock KS052BK as the best realtor lock box for storage capacity. Because of the large container that can accommodate keys as well as garage door openers, realtors showing homes with multiple access points will find this most useful. Although at $39.71, it is higher priced than some, the additional storage makes it a must-buy for those periodic listings requiring additional material storage. The WordLock KS052BK can be found on Amazon for $29.71 with a warranty that guarantees the lock will remain operational during use for as long as you own the lock. If you can’t open the lock because of a lost password, it will not be replaced, but if there is a structural fault, it can be returned for a refund. Since this order is over $25, there is free shipping available, usually within five to eight business days. However, with an Amazon Prime membership, there is a two-day free shipping opportunity. Amazon also offers new versions starting at $29.61 from individual parties. Taxes have not been included in this pricing. WordLock KS052BK offers an incredibly secure framework with fantastic storage. Not only can you store a number of keys, but additional elements that real estate agents might find useful, like garage door openers. The exterior of the WordLock is advertised to resist even hammering or sawing for attempted entry. With a solid stainless steel padlock and cylinder, the quality of material used in the WordLock KS052BK makes it strong enough to withstand any rusting, sawing or hammering. 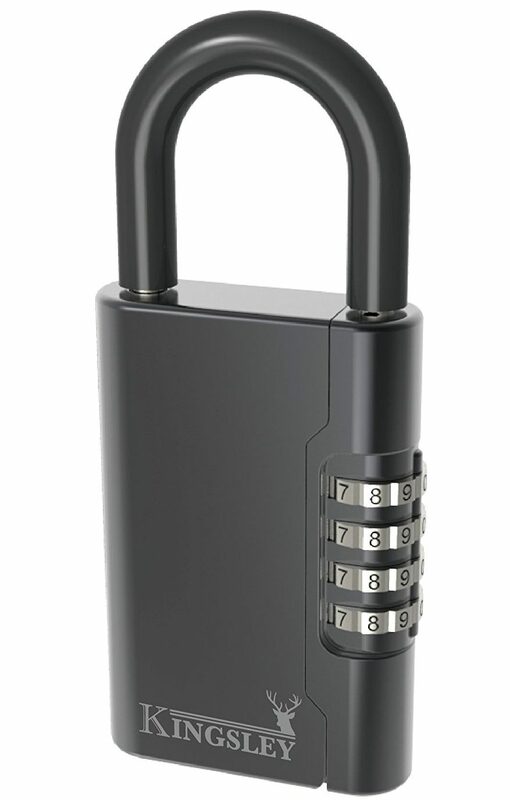 Quality and durability of this lock is outstanding, and users reported ongoing functionality. The WordLock KS052BK is easy to use. While some may prefer the punch pad of the KeyGuard SL-500, WordLock capitalizes on the fact that humans tend to remember words better than numbers, making the need to write down codes (and forgetting them) less onerous. The storage capacity of the WordLock is truly more than just a lock box for keys; it can include so many items of various sizes, giving it a lot of flexibility, especially with smart homes that may have outdoor elements controlled by remote. Overall, Amazon has this product rated at a 4.2 out of 5 stars. Although this is higher than the KeyGuard SL-500, we must note that the KeyGuard SL-500 has four times as many reviews as the WordLock KS052BK. WordLock KS052BK offers a durable product that can withstand the rigors of extended use, and has an impressive storage capacity. However, just like the KeyGuard lock box, it also comes with some code limitations. The WordLock KS052BK word password is constrained by what letters they have available for each slot. As part of the construction of the WordLock, each slot contains different letters, so in return, the consumer has to generate a password based on what letters are available rather than coming up with something they might like without this restriction. For example, there is no “w” available in the third space, but it is a letter available in the first slot for password creation. We recommend Master Lock 5400D as the best realtor lock box for everyday use because of reliable functionality and the vinyl covered shackle that resists door handle scratching. At $22.16, this lock box was reasonably priced and accommodates two to three standard-sized keys. The shackle-style of the Master Lock 5400D can be found on Amazon for $22.16 with a limited lifetime warranty included in that price. Amazon also offers this lock box used starting at $18.84 at the time of this article. Please note taxes have not been included in the prices given. A reminder that for an order of $25 or more or via Prime membership, shipping can be free. 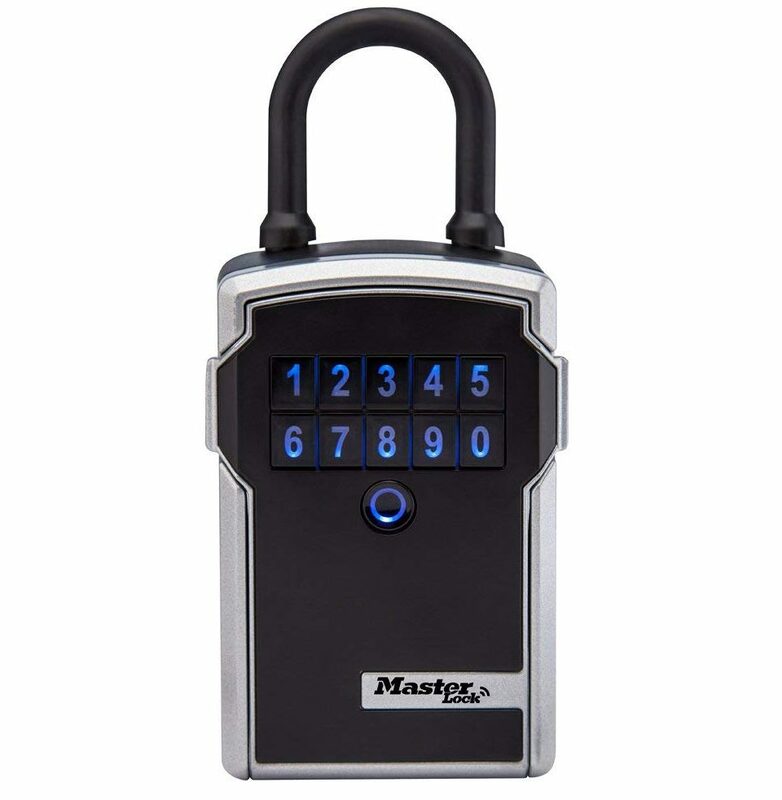 The Master Lock 5400D is a standard lock box with solid construction and four-digit combination locking. With thoughtful construction, reasonable pricing, and widespread adoption, this lock box can be used both in indoor and outdoor conditions to good effect. It holds two to three standard keys, and has a vinyl-coated shackle that reduces exterior scratching. Master Lock 5400D is similar to KeyGuard SL-500 in that it has an internal metal frame and some form of coverage over the combination number. However, the shackle is vinyl coated unlike the KeyGuard lock box. While the materials of this lock box allows it to be useable in both outdoor and indoor conditions, the quality may not be as strong as the WordLock KS052BK that even withstands sawing. Unlike the KeyGuard SL-500 or WordLock KS052BK products, the Master Lock 5400D has the ability to create any password you want using whole numbers and a numerical code, with the option to repeat a number for increased combination options and security. The inside dimensions allow for two to three keys to fit inside. Overall, Amazon has this product rated at a 4.4 out of 5 stars; these ratings are higher than both the KeyGuard SL-500 and WordLock KS052BK, with almost triple the number of reviews than the KeyGuard SL-500. Master Lock 5400D has excellent Amazon ratings, but the consistent complaint was ease of use with a relatively tricky opening. When opening the lock box to release keys in storage, two maneuvers must be done simultaneously. When you open the shutter door, the combination is put in and in order the release the keys, there is a latch on the side that has to be pulled down and forward (in order to pull the door open). Having to perform multiple actions to open the box can cause confusion for those who have not used this lock box in the past. We recommend Lion Lock 1500 as the best realtor lock box for bulk purchase because of the lower price point, functionality, and ease of use. At $27.99 for two, these real estate lock boxes include storage for two keys, easy access, and construction that resists sawing and hammering. Lion Lock 1500 can be found on Amazon for $27.99 as a two-pack that includes a lifetime guarantee. 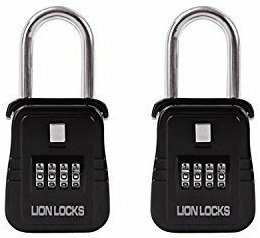 Amazon also offers a three-year protection plan on this two-pack Lion Lock for $1.61. All single Lion Lock 1500 boxes were currently unavailable through Amazon, but given the price for two units and that agents usually stock multiple lock boxes, this was not seen to be problematic. Since this order is over $25, there is free shipping (usually five to eight business days). Please note taxes have not been included in this pricing. Lion Lock 1500 features a solid metal construction that is resistant to tampering in structure and code, is easy to use, and allows for the storage of two standard keys. A solid choice, the Lion Lock 1500 provides straightforward use for any agents who encounter the box, allowing for easy access and showings. 3/4" x 1" x 2 1/4"
The material of this product is a solid metal that is tamper-resistant. It is reported to withstand hammering and sawing. In addition, Lion Lock is a rust-free lock box, which enables a longer span of life despite inclement exterior weather. The Lion Lock 1500 is easy to use, and unlike the Master Lock 5400D, it is straightforward with no confusion about how to get it to open or access the keys inside. Also, unlike the KeyGuard SL-500, the combination allows for numbers to be repeated, providing up to 10,000 different combination options for additional security. The internal dimensions of the Lion Lock 1500 allow for two standard keys to fit inside, and while not as large as the WordLock KS052BK, should provide the basic needs for agent access. For $27.99, Lion Lock 1500 offers a reasonable price point for two locks. Overall, Amazon has this product rated at a 4.6 out of 5 stars, although there are only 27 reviews. 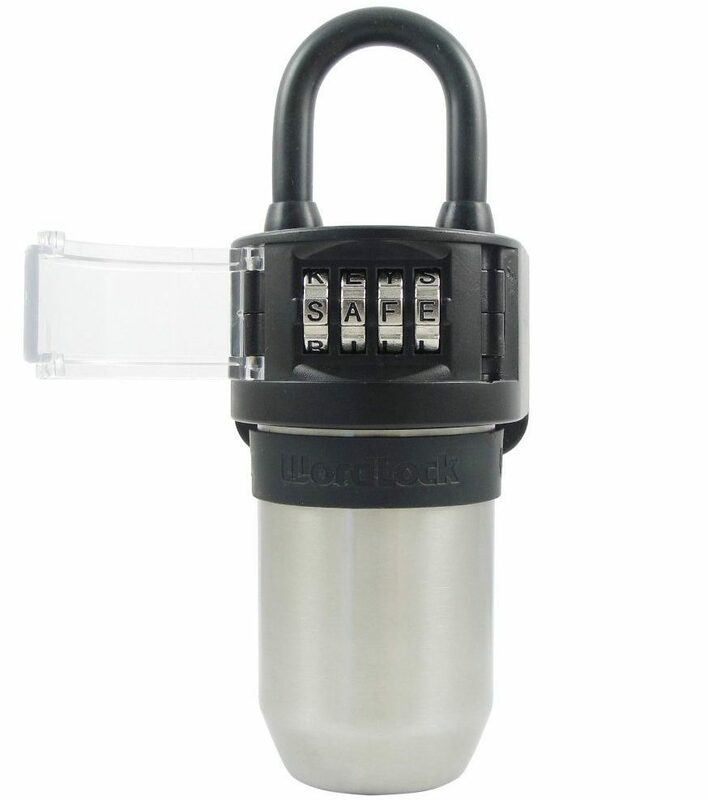 The Lion Lock 1500 has solid reviews by those who have used it for ease of use and utility. It may not have any bells and whistles, but it is a solid box that is durable and does what it should. While the pricing of the Lion Lock 1500 offers a great deal for two lock boxes for the price of one, its biggest downfall is storage capacity, versatility, and exterior scuffing potential. The Lion Lock 1500 holds only two standard keys, while WordLock KS052BK can hold things as large as a garage door opener, and even the KeyGuard SL-500 holds four to five standard keys. We recommend Master Lock Bluetooth Portable 5440D as the best realtor lock box for extreme temperatures because of the usability to -40 Fahrenheit and zinc construction. Although this was the most expensive lock box we reviewed at $97.95 each, it may be worth the cost if you constantly struggle with functionality in colder temperatures. The Master Lock Bluetooth Portable 5440D is the most expensive lock box we reviewed, and can be found on Amazon for $97.95 with a limited one-year warranty. Due to the expense in your initial investment of this lock, you may want to consider Amazon protection plans in addition to your purchase. Amazon offers two different types of protection plans, with the two-year plan costing $1.69 and the three-year plan costing $2.64. As this is a product over $25, free shipping is available with delivery in five to eight business days. Please note taxes have not been included in this pricing. The Master Lock Bluetooth Portable 5440D can withstand extreme temperatures and allows for both Bluetooth and backup code accessibility. Holding about two standard keys, this lock box was the most expensive we reviewed, and has the ability to hold a variety of codes simultaneously. When comparing which lock box can withstand the harshest weather, the Master Lock Bluetooth Portable 5440D reigns supreme. This lock box claims to be water resistant and withstand weather temperatures below -40 Fahrenheit. While lock boxes like the KeyGuard SL-500 have plastic components that may not stand the test of time, this box is constructed of zinc and built for any harsh conditions the exterior might throw your way. This is particularly beneficial if you are an agent working in cold climates such as Alaska, North Dakota, Montana, and many other regions where climates bring extreme temperatures. The product is easy to use if you are relatively savvy with technology, although if you’re not proficient, this box might pose difficulties other lock boxes do not. This Master Lock Bluetooth Portable 5440D functions via Bluetooth; a random combination is sent to your phone, and when you are within range and have that code, you can open the lock box. If no phone is available, the combination can be punched in to open it, providing backup access. This lock box has the ability to generate random combinations over and over, plus the ability to record when someone is accessing it. Although the product says multiple keys fit, because there is a battery compartment inside towards the bottom, it limits the number of keys to two to three. Overall, Amazon has this product rated at a 3.3 out of 5 stars, with only 91 reviews. The Master Lock Bluetooth Portable 5440D requires some maintenance that other lock boxes, even the Master Lock 5400D, do not in both batteries and code tracking. For example, the batteries are CR123A and will need to be replaced over time. They did not provide estimations on typical battery life, but you do receive low battery alerts. You also have to be sure to keep track of active codes because, due to code variations you can use, it can hold more than one coding sequence. So, for example, after six codes, one will have to start deleting previous codes. With standard lock boxes, such as the Lion Lock 1500, only one code variation is available at any given time, which could be viewed as a limitation or straightforward, depending on your needs. What is also missing from the Master Lock Bluetooth Portable 5440D is the ability to work on Wi-Fi. As it currently operates, a user must be within range to connect via Bluetooth (unless punching codes in), and this technology might be challenging to access in some areas, making the primary cost component irrelevant. We recommend Kingsley Guard-a-Key as the best realtor lock box for new agents because of the accessible price point at $14.95 and the standard features. This real estate lock box has a vinyl coating over the shackle to prevent scratching, but has an all-metal construction. It is sleek, durable, and able to hold five or more keys. The Kingsley Guard-a-Key-a-Key was the least expensive lock box we reviewed, and can be found on Amazon for $14.95 with no signs of an optional warranty. Please note that taxes have not been included in this pricing. The Kingsley Guard-a-Key is a simple and durable lock box with the capacity to hold over five standard keys. With all-metal construction to withstand the elements, it also contains a combination access that includes all numbers as well as the option to repeat numbers if you wish. The Kingsley Guard-a-Key is similar to the Lion Lock 1500 in its simplicity and combination features, but with a sleeker exterior, the ability to hold more keys, and side access. The Kingsley Guard-a-Key lock box is meant to be used both indoors and outdoors, and has a vinyl coating on the metal shackle to prevent doorknob scratching. The Kingsley Guard-a-Key lock is incredibly easy to use. It has a low-profile that enables it to not interfere with opening a door, and is highly secure. Each slot offers the numbers zero to nine, with the option to repeat any digit, thus increasing combinations and security. The internal dimensions allow for five keys maximum to fit in, no key chain ring or other keys aside from your standard key. Overall, Amazon has this product rated at a 4.3 out of 5 stars, with 817 reviews. While Kingsley Guard-a-Key is a solid and basic real estate lock box, what is missing are the options we see in some other boxes. For example, there are no options for additional combinations to be used as we see with the Master Lock Bluetooth, and there is no additional storage as we find in the WordLock KS052BK for elements outside of basic keys that could come in handy for agents. We wish that the Kingsley Guard-a-Key came with an additional warranty option, but for the price, this was not a significant complaint given solid user reviews. Real estate agents operating in today’s market want a lock box that is reliable, secure, and will get the basic job done. While many of the above options do this in a variety of ways, they all offer different options depending on your unique needs. For example, if operating in extreme weather conditions, you may find the Master Lock Bluetooth worth the additional expense, while if you are an agent showing properties that are often industrial and require garage openers and drawings, you might find the WordLock KS052BK storage features compelling. Just got the model specs yesterday. I hope this is a universal switch. The metal codes stick and the buttons stick in the cold on those other lock boxes.